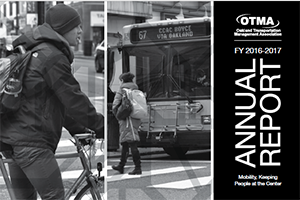 OTMA is a key partner in improvement projects affecting traffic, pedestrian and vehicle safety, and quality life in the Oakland community. Acting as the liaison between the community, funders, and state and local transportation planners, OTMA represents the community viewpoint during the design/planning phases for transportation construction projects and public transit initiatives. Visit the Current Projects page for information on ongoing projects.